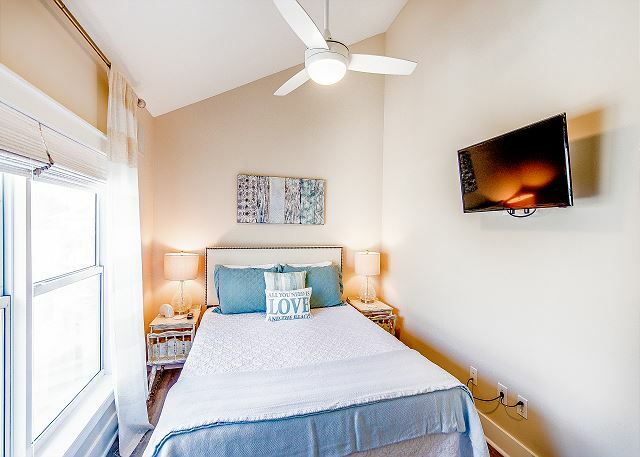 Includes a $220 credit with Live Well 30A. 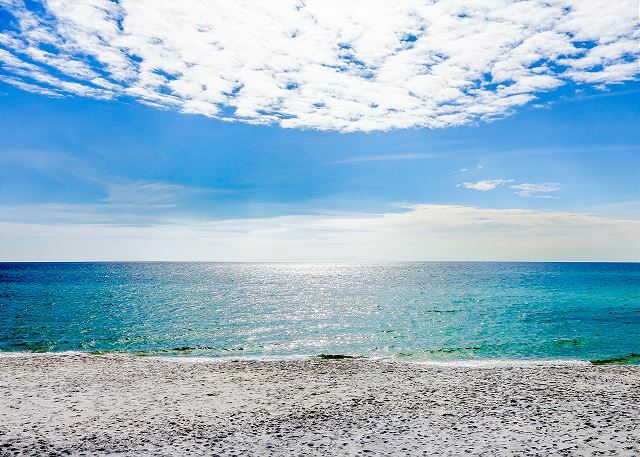 Choose from 4 bikes, beach service, 2 day SUP rental, or towards dozens of other great Live Well 30A rentals or services! 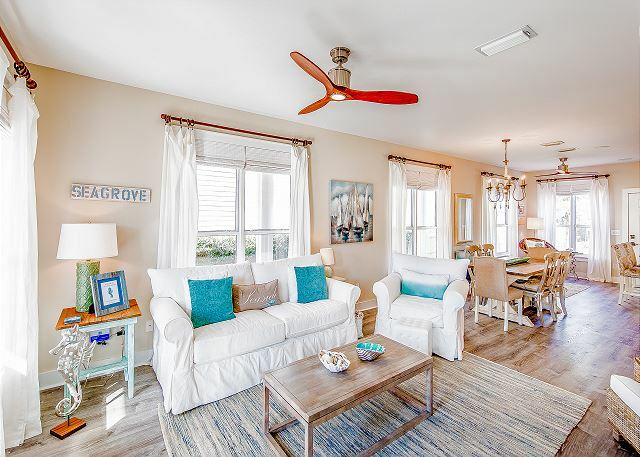 Come enjoy Southern Breeze in Seagrove! 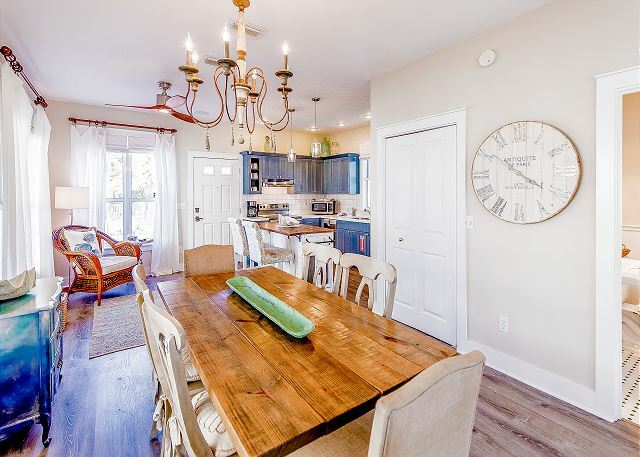 This cozy three bedroom, two and a half bath home sleeps up to 8 guests and features brand new flooring throughout the house. 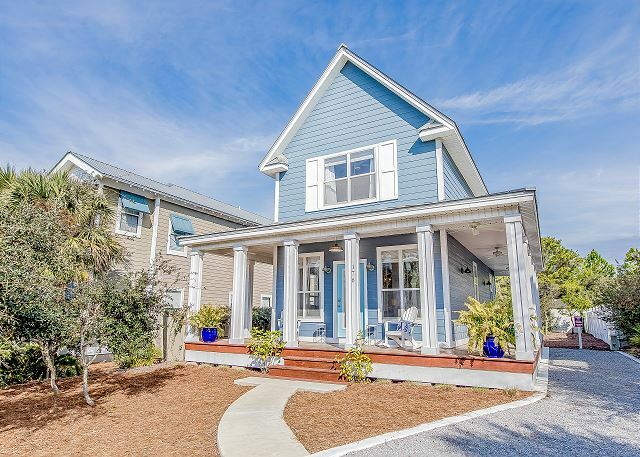 This home is located in The Village of Sugar Beach and only 200 yards from the beautiful sandy beach off highway 30A. There is a community pool in the neighborhood. 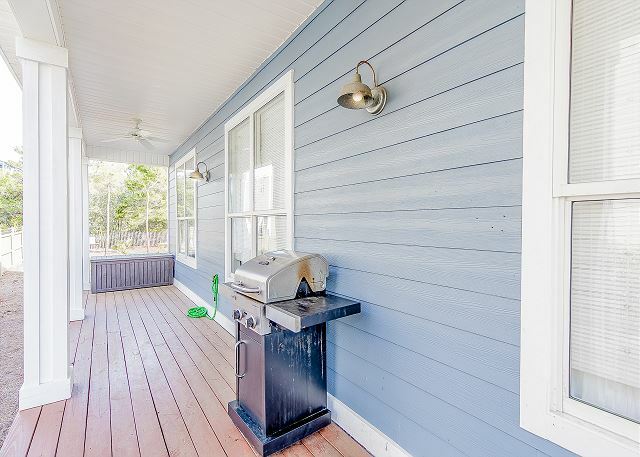 This home offers a secluded feeling with ample space for backyard activites and privacy. 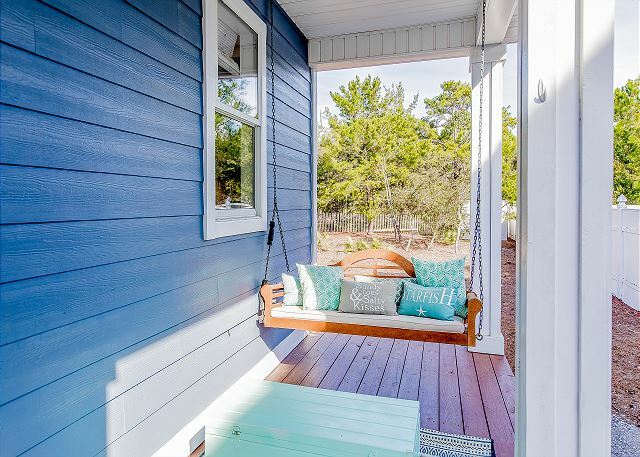 As you walk up to the home, you will notice the large wrap-around porch, perfect for your morning cup of coffee! When you walk through the front door, you'll be greeted by the gorgeous new flooring that runs throughout the house. 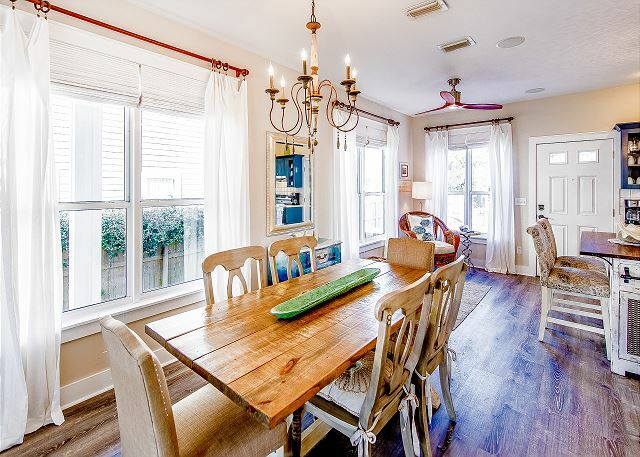 You will notice the open concept living and dining area with a half bath off of the dining/kitchen. 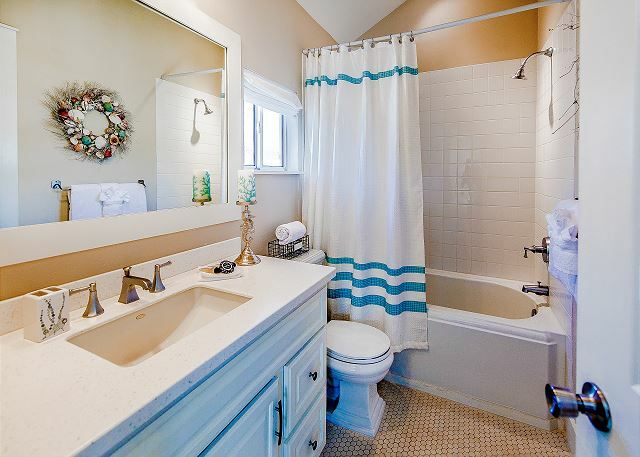 Upstairs you will find a beautiful King Master Suite with an en-suite bathroom. 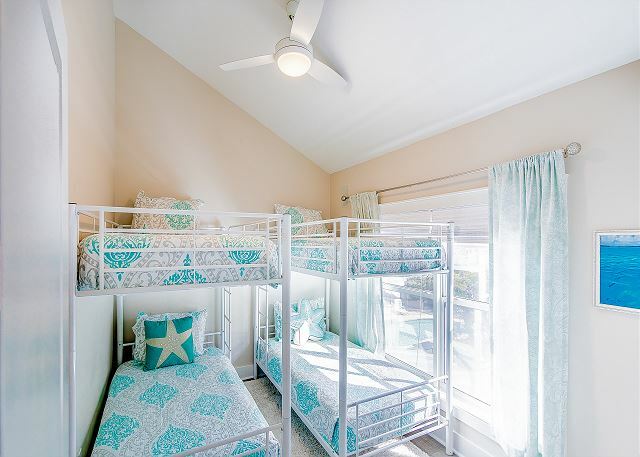 In addition, there is a cozy queen guest room and a bunk room with two sets of twin over twin sized bunks that is perfect for the kids! 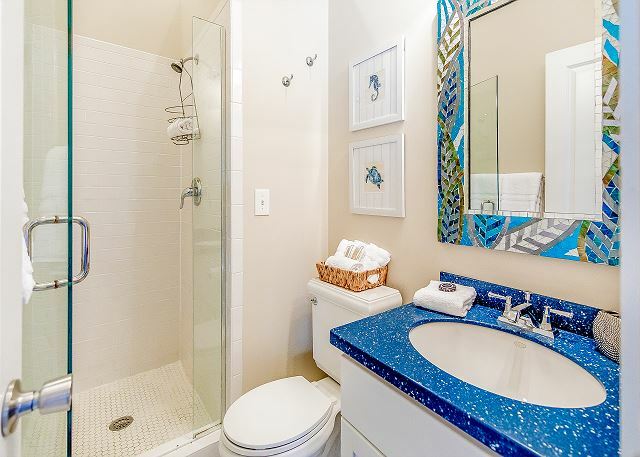 These two rooms share a full size bathroom just off the stairs leading to both rooms! 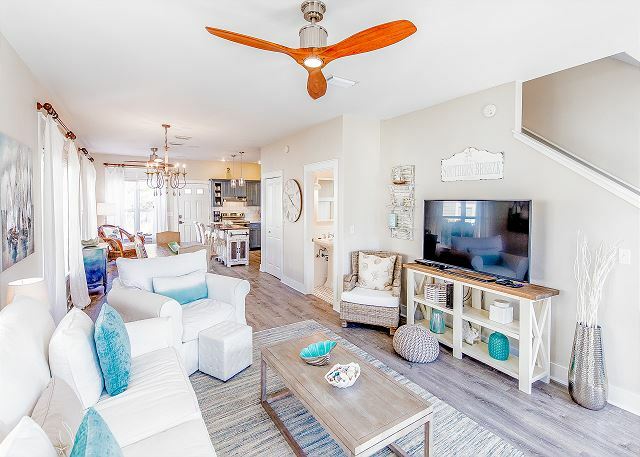 Located in the heart of Seagrove, Southern Breeze is a stone's throw away from popular restaurants, shopping and fun night life! 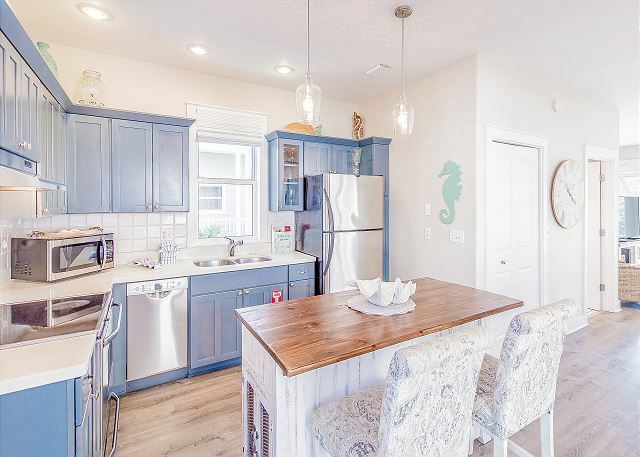 This home is sure to provide your family with tons of fun! 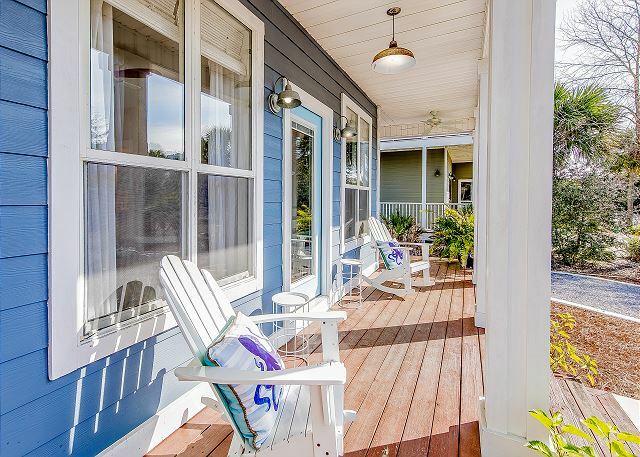 Included with this rental are free WiFi, and two brand new paddle boards! Adventures await! 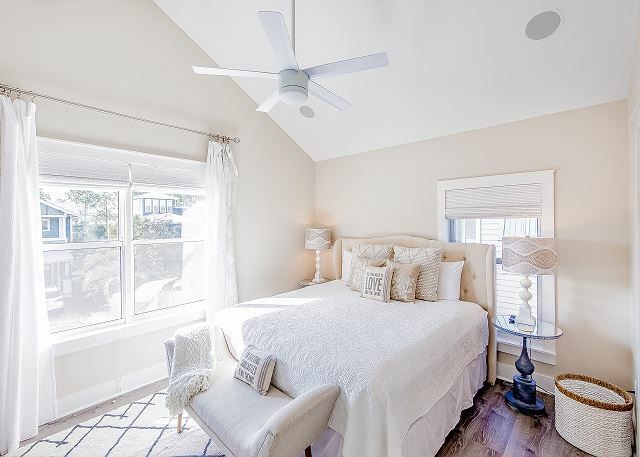 We had a wonderful time in this seagrove home! The access to the beach and bike path was so great it provided us with a very relaxing family vacation with minimal need to use our car! Something we enjoyed very much as we sit in traffic every day in our real lives! The house itself is so cute, perfect family retreat. Thank you Jessica - we truly appreciate your kind words! 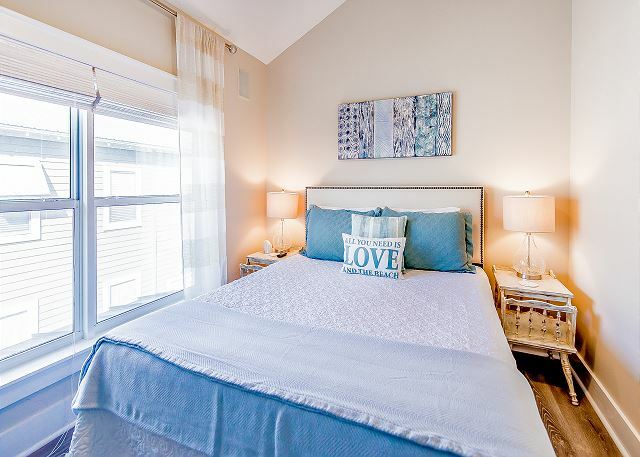 Southern Breeze is the perfect vacation getaway - family trip, girls trip, adult escape? 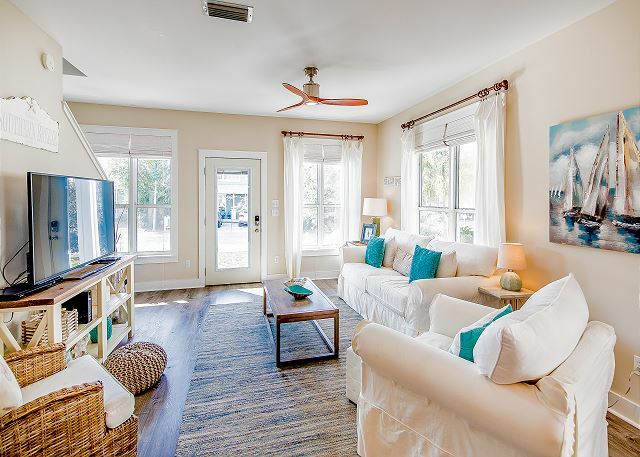 You will find what you need right here on 30A! 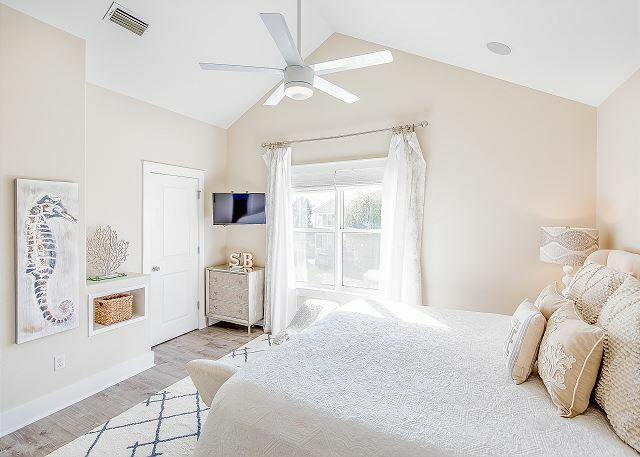 As mentioned - Southern Breeze is in a great location - minutes from the white sandy beaches, minutes from some great restaurants and shopping yet it is just off of 30A so it is quiet and relaxing! Call Benchmark today - you don't want this one to slip through your fingers! We made some fabulous memories here. Thank you for submitting your review! One word is all it takes - awesome is the right word! 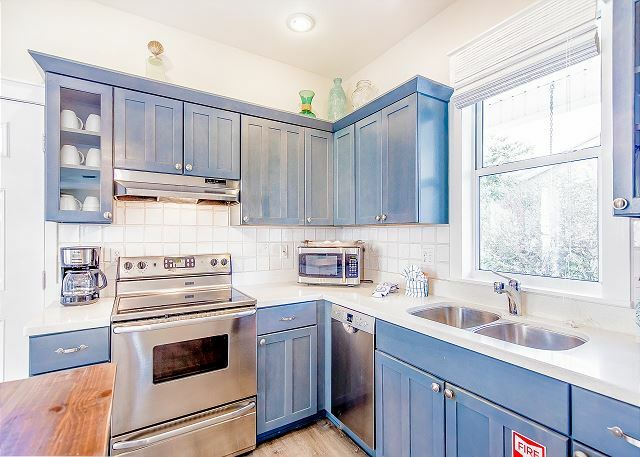 This home is super cozy and located just off of the beaten path so you feel you like are in a quiet little neighborhood but then voila! Within minutes you are at the beach with the white sand under your feet and the dolphins dancing before your eyes! 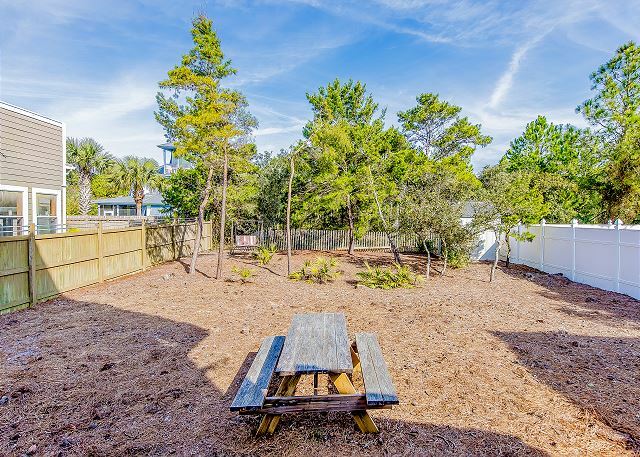 Southern Breeze is well equipped with everything you will need to enjoy a relaxing family vacation. Give Benchmark a call today and we would be happy to help put a smile on your face! My friends came down from Mass. and have never been to this coast of Florida. They fell in love with the home, location, bikes, restaurants, beaches (especially) and the general vibe. The home was spotless. Only recommendation I have is for baskets to be installed on the bikes. Thank you for submitting your review - we always appreciate your comments and suggestions. We are so glad you enjoyed your stay at Southern Breeze. This is such a lovely area - we would agree! There is so much to offer - the beautiful beaches, the amazing restaurants and the relaxing atmosphere - what more could you want in a vacation! We hope that you will join us soon - summer reservations are going quickly so please call soon! 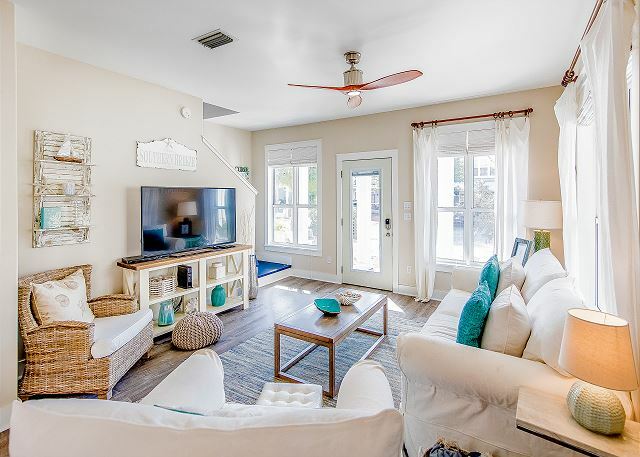 such a cute beach house! perfectly decorated beach theme! 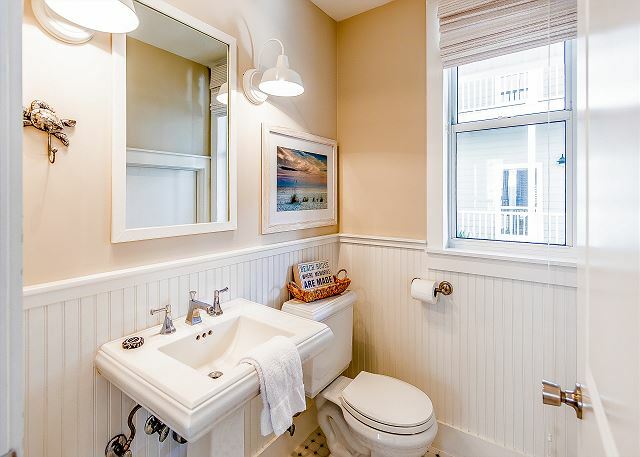 Close to the beach and attractions. Extremely clean. Thank you for submitting your review! 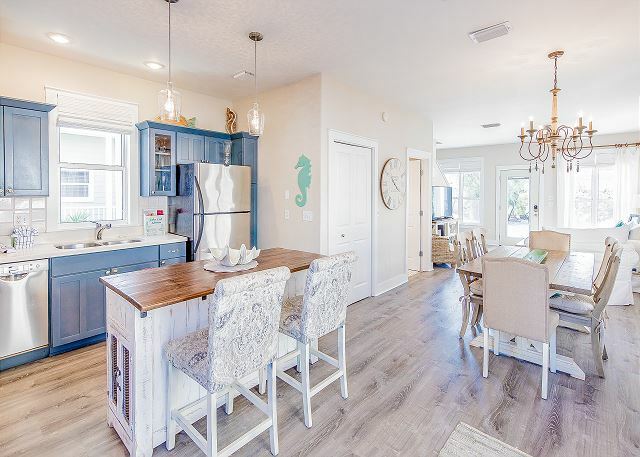 This truly is the perfect little beach house - I couldn't agree more that is so cute and perfectly decorated for you to enjoy. 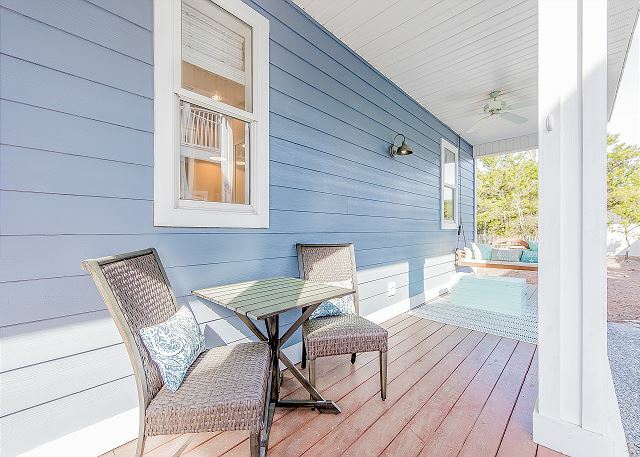 And that is just the inside - you can also enjoy the wrap-around porch every morning and evening - relax with your first cup of coffee or your evening cocktail. 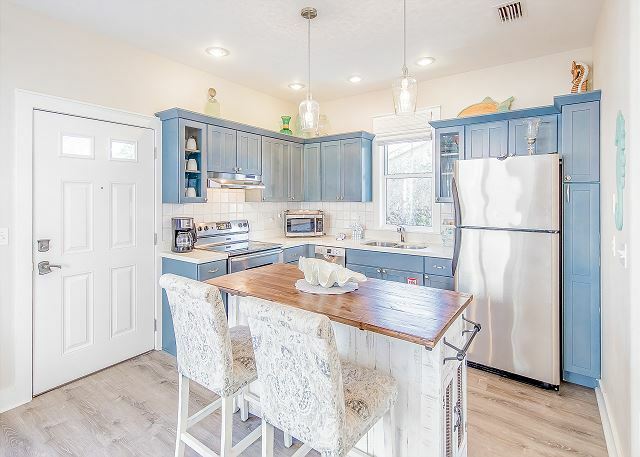 This home will just keep you smiling! It is also very centrally located - so close to many of the delicious restaurants and the fun boutiques. And I would be remiss if I didn't mention that it is just a nice stroll to the beach - it is all right here at Southern Breeze. Please call Benchmark today! Our rental experience was fantastic! The house and property was perfect for our vacation! Really enjoyed everything about this home! Thank You! Thank you so much for taking the time to submit your review! We are glad that you had a great experience and we would welcome you back any time!